Fridays are typically a date night for me and the bf. We headed to this great Mexican place called Macayos in Mesa. It kind of reminded me of Chevy's and it was our first time there. Since my photographer aka mom is out of town this weekend the bf was in charge of these pictures. I love that floral prints are so major right now. I definitely want to get my hands on some floral cut off jean shorts. 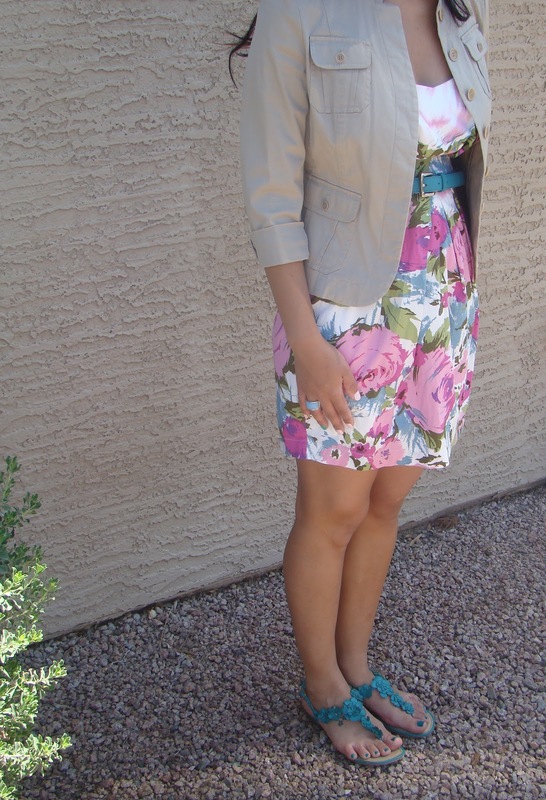 I picked up this Forever 21 dress almost 3 years ago when I was heading to Vegas for my 21st birthday. I love the sweetheart neckline and the colorful summer print. Thanks!! Following your blog as well!! Thanks Marsha!! following your site on blooger!!! Love your post! !